Last week our Team Haiti Leaders Dave and Andrea Quinn along with their two children and single men’s leader Braxton all traveled to Haiti and arrived in L’Asile without incident. Leadership here at FMC gave us clearance to travel and today we booked our flight. God willing we will arrive next Monday Feb. 25th. This extra time has been filled with many blessings, including good health, Daniel’s cheerfulness, learning how to home-school and bonding with our fellow Team Haiti missionaries. Tomorrow is the feast of St. Joseph. Please join us in giving thanks and praise to Jesus and for the powerful intercession of his earthly father St. Joseph. Thank you all for your prayers! They are mighty! HERE IS THE LATEST UPDATE ON OUR MISSIONARY FAMILY, THE GLAFCKES. 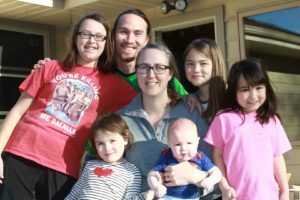 My column today will be dedicated to giving our parish a report from our Mission Family, Matt and Katie Glafcke, and their children Josephine, Coryn, Mallory, Gloria, and Daniel. The Glafcke Family departed on September 1st, for Abbeville, Louisiana, to join the Family Missions Company, a Catholic mission formation organization for lay missionaries. I spoke with both Katie and Matt over the phone last weekend to get an update on how they are doing. The first two weeks of their experience have been filled with retreat-like formation sessions, listening to various speakers, participating in reflection and discussion, praying and celebrating Eucharist, eating meals in common with all the other missionaries. They both described it as very intense, yet meaningful and fruitful. In addition to their family, there are several other large families like theirs, in addition to some couples with one or two children, some couples without children, and some single adults. In total, there are somewhere around 70 persons training for mission. One of the truly surprising developments is the number of families who have entered formation this time around. This is the first time that Family Missions Company has had more children than adults preparing for foreign mission work! Katie and Matt both said that they are very happy with their decision, and that the children are also adjusting well. Now that the initial flurry of intense formation experiences are complete, they will be able to settle into a routine for their family life. They currently live in a trailer home, which has been different from what they’re used to, but not a problem. They will be spending the month of November in a Mexican town called General Cepeda, near Monterrey, for their initial mission experience. They will then return to Louisiana to process that experience and prepare for their long-term mission assignment, which they will learn on December 6th. 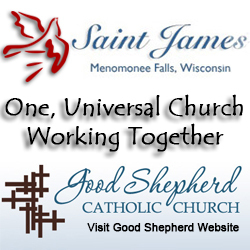 Matt will be returning to Wisconsin in December and plans to give a witness talk at all the weekend Masses at St. James on one of the weekends before Christmas. They have not been able to make any updates on their blog yet, but hope to do so very soon, so they encourage folks to check that out at: http://laughkey.blogspot.com/ or to email them at laughkeymission@gmail.com. They truly appreciate all of the financial support that parishioners have pledged to them. But even more importantly, they are grateful for and request our constant prayer support. 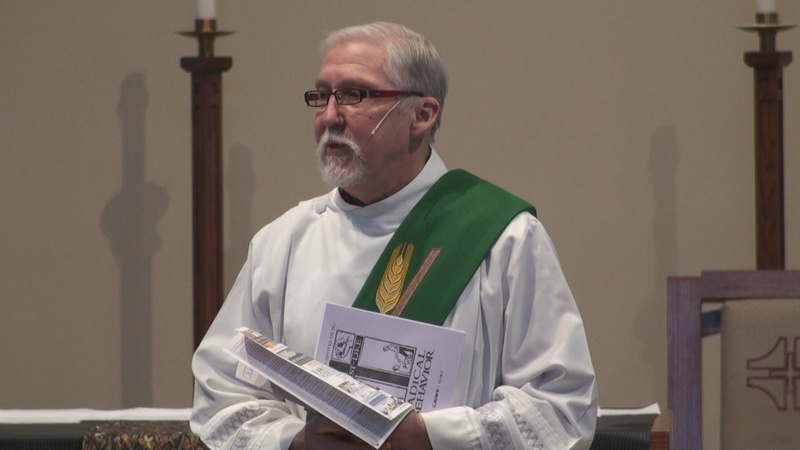 They also wanted everyone to know that they are praying for the St. James parish family as a whole, as well as for individual parishioners with whom they have special relationships. They still feel very connected to St. James and hope to continue that bond as their journey unfolds.